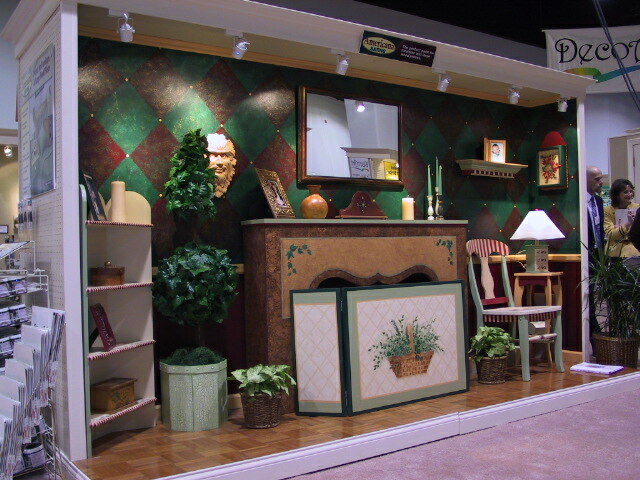 DecoArt's booth at the annual Craft and Hobby Association Trade Show showcases many ideas for using the product. Click on the button to send us an email. Visit manufacturers' websites for FREE project ideas! To sign up for our newsletter, type your email address in the box. Our new Bargain Center is Open to the Public - Great discounts for Everyone! Sorry, the warehouse is not open to the public. Customers: please make an appointment if you wish to pick up an order and/or shop. We make every effort to provideNext Day Shipping. Orders phoned or emailed by Noon will be shipped the next day. We try to ship orders using least expensive shipper. We are currently shipping small orders by USPS Regional Rate Priority Mail unless Flat Rate is cheaper (depends on distance from NH). Large orders will be shipped by UPS.